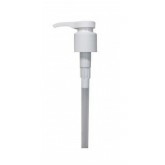 This pump fits Schwarzkopf Shampoo & Conditioner liter bottles (33.8 oz) and 1.5 liter bottles (.. 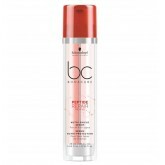 Suitable for Bonacure/Essensity 750ml bottles..
Volume and body are among the highest priorities for the vast majority of hairdressers' clients. 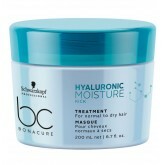 Fan..
Includes BC Bonacure Hyaluronic Moisture Kick Micellar Shampoo 33.8oz and Spray Conditioner 13.5oz a.. When hair lacks moisture, it lacks shine, elasticity and bounce, making it brittle and harder to man.. This pack includes retail sizes of: Hyaluronic Moisture Micellar Shampoo Hyaluronic Moisture Spr..
Moisture Kick Shampoo is a daily cleansing shampoo that provides the ideal moisture balance for heal.. 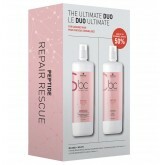 This duo includes liter size Peptide Repair Rescue shampoo and conditioner 33.8oz. When hair is dam.. 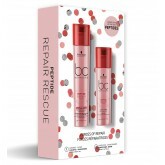 This double serum works for total repair and heat protection. 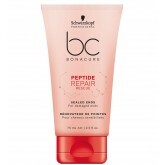 It refills inner hair structure, resur.. When hair is damaged, it loses its bounce, its healthy-looking appearance and its shine. And it&rsqu.. 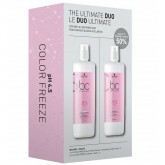 Pack includes Liter size pH 4.5 Shampoo and Conditioner 33.8oz. There is nothing better than walkin..
Rediscover the essentials. 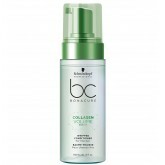 New BC Bonacure powered by skin-care inspired ingredients for simple yet ..
Includes pH 4.5 Shampoo 8.5oz and Conditioner 6.8oz. There is nothing better than walking out of a .. There is nothing better than walking out of a salon with vibrant true colour. A good colourist will ..
Includes BC Bonacure pH 4.5 Color Freeze Silver Shampoo and Color Freeze Conditioner 33.8oz at a spe..